Certified Network Security Expert Consultants | LG Networks, Inc.
LG Networks, Inc., a leading network security firm, has been developing and utilizing a variety of tools and practices that can protect your business internally and externally without hindering your business processes or communication. The greatest threat to your business today is internal hacking. Internal, from your own employees: the people who know your business inside and out. The days of being able to have your e-mail servers, domain controllers and ERP servers on the same subnet with no access controls between workstations and servers is over. However, internal security is often given a lower priority and put on the back burner while the perimeter is being fortified. LG Networks’ network security consultants follow the Recommendations of the National Institute of Standards and Technology for IT Risk Management Analysis. There is a structure and methodology to risk analysis, followed by a risk mitigation process. Risk mitigation includes a cost benefit analysis, mitigation options and strategy and approach for a controlled implementation. System security policies governing the IT system. Questionnaire – To collect relevant information, our risk assessment personnel can develop a questionnaire concerning the management and operational controls used for the IT system. This questionnaire would be distributed to the applicable technical and non technical personnel supporting the IT system. The questionnaire could also be used during on-site visits and interviews. On-site Interviews – Interviews with IT system support and management personnel will enable our risk assessment personnel to collect useful information about the IT system (e.g., how the system is operated and managed). The analysis of the threat to an IT system must include an analysis of the vulnerabilities associated with the system environment. The goal of this step is to develop a list of system vulnerabilities (flaws or weaknesses) that could be exploited by a potential threat sources. It should be noted that the types of vulnerabilities that will exist, and the methodology needed to determine whether the vulnerabilities are present, will usually vary depending on the nature of the IT system . During this step, our risk assessment personnel determine whether the security requirements stipulated for the IT system and collected during system characterization are being met by existing security controls. If you are in a niche industry, we will utilize the industry specific network security assessment. For most businesses, a thorough IT Security Audit is performed. We will use a security requirements checklist will be that contain the basic security standards that can be used to systematically evaluate and identify the vulnerabilities of the assets (personnel, hardware, software, information), non-automated procedures, processes, and information transfers associated with a given IT system. 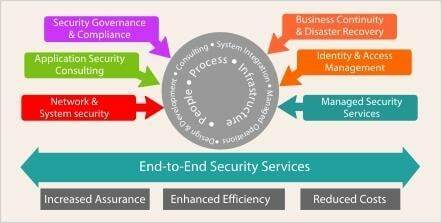 Security controls encompass the use of technical and non-technical methods. Technical controls are safeguards that are incorporated into computer hardware, software, or firmware , such as access control mechanisms, identification and authentication mechanisms, encryption methods, intrusion detection software). Non-technical controls are management and operational controls, such as security policies; operational procedures; and personnel, physical, and environmental security. Please contact our network security consulting team who will be happy to answer all of your questions on our security practices.